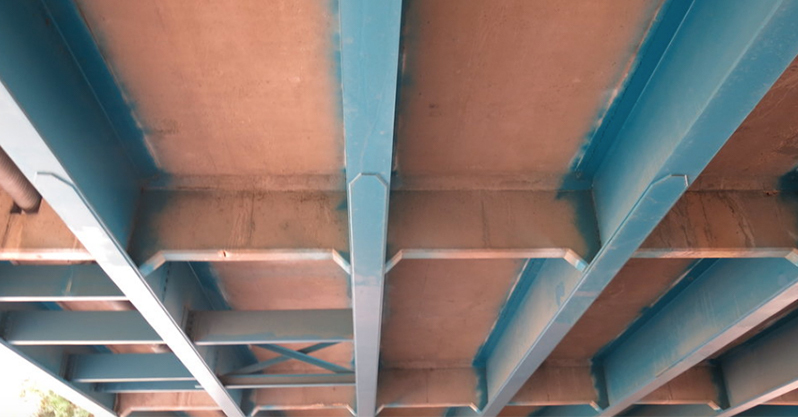 Nondestructive Evaluation of 14 Bridge Decks in Florida - Infrasense Inc.
Infrasense teamed with RS&H to complete a multi-phase project in the Jacksonville area to evaluate the condition of 14 bridge decks. 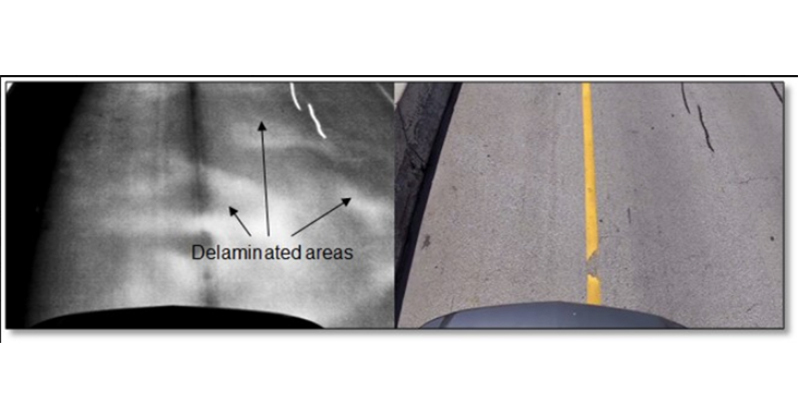 The first phase of the deck condition evaluations was carried out using infrared thermography (IR), ground penetrating radar (GPR), and high resolution video imaging. 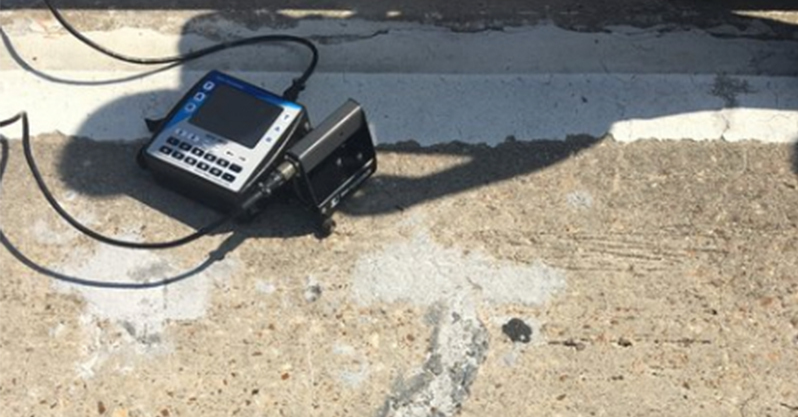 A second phase, consisting of impact echo (IE) and hammer sounding methods, was used to augment the IR and GPR results. The deck condition information will be used by RS&H and the Florida Department of Transportation (FDOT) to plan future maintenance and rehabilitation efforts. Of the 14 decks evaluated in this project, 6 were surveyed using IR, GPR, and IE testing, 5 were surveyed using only IR, and the remaining 3 were surveyed using GPR and IE. Data collection for the IR and GPR surveys was completed in only 2 days, with no interruption to normal traffic flow despite many of the bridge decks being located in highly trafficked parts of Jacksonville. Infrasense engineers also took some time out of the data collection schedule to give a live demonstration to several members of the FDOT District 2 office and answer any questions that the state engineers had about the nondestructive testing methods utilized for the project. 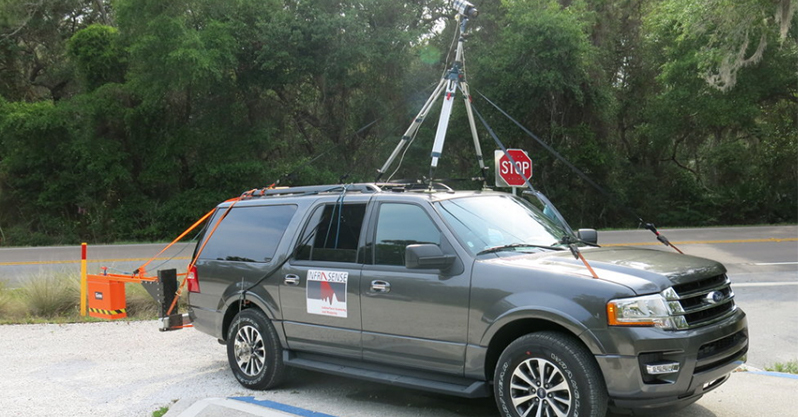 Infrasense survey vehicle for high-speed GPR and IR in Jacksonville, FL. Underside inspections were performed for each of the 14 bridge decks to supplement GPR and IR data. IR and visual data show deterioration hidden beneath the surface. Impact Echo testing was performed in a second phase of testing.